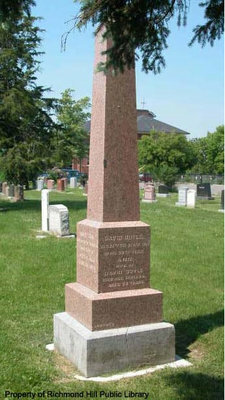 A photograph of the Boyle family obelisk (south face). Richmond Hill Presbyterian Church cemetery. Richmond Hill Presbyterian Church cemetery.